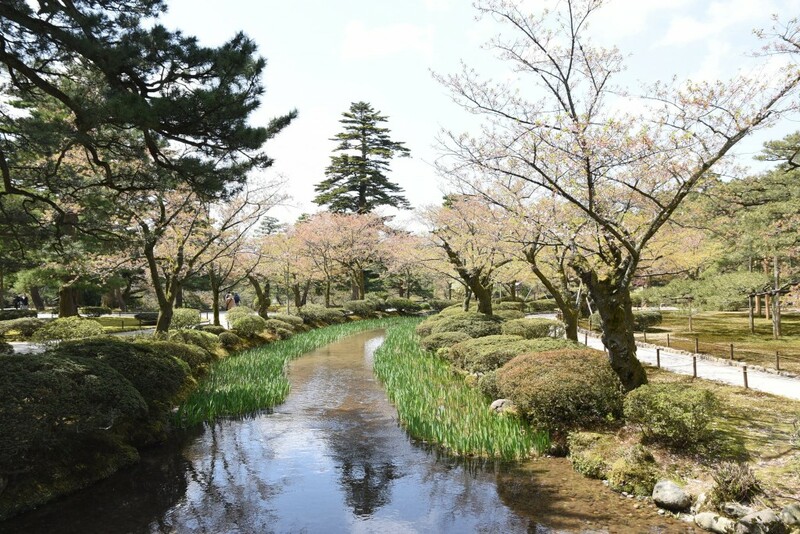 Kenrokuen is considered one of Japan's three most beautiful landscape gardens alongside Mito's Kairakuen and Okayama's Korakuen. 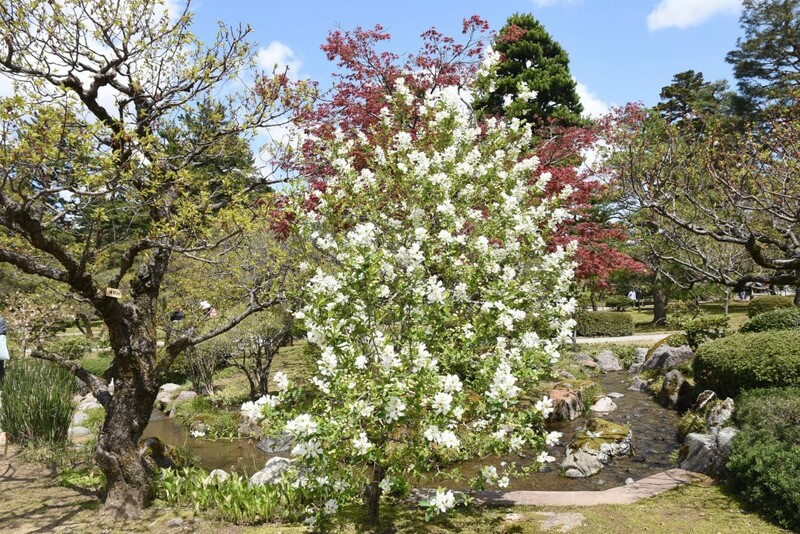 Located in central Kanazawa, the once-private garden covers an area of 11 hectares (almost 25 acres) next to Kanazawa Castle. 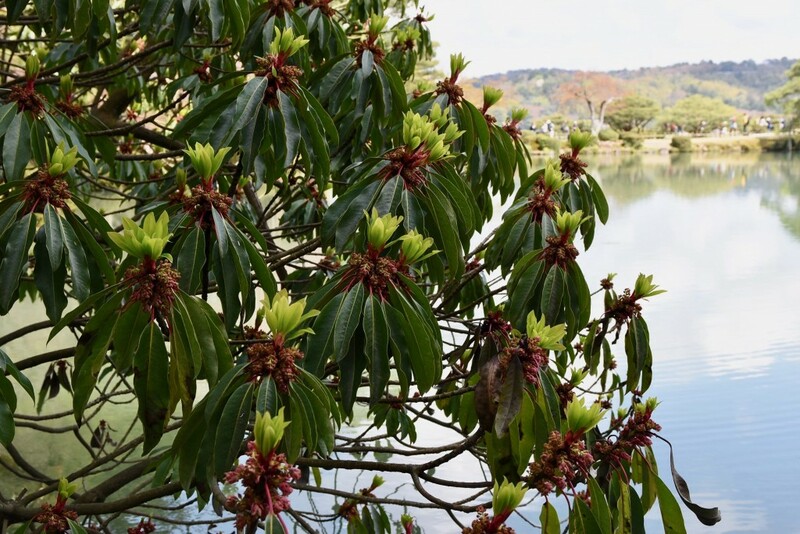 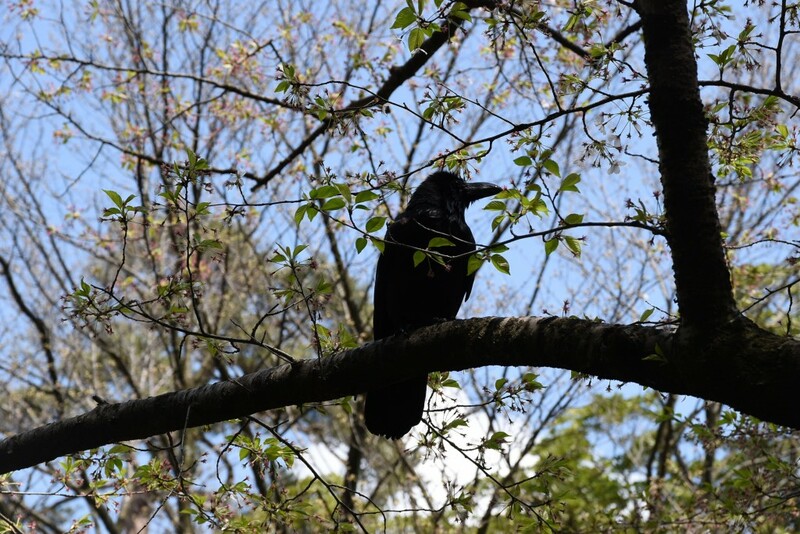 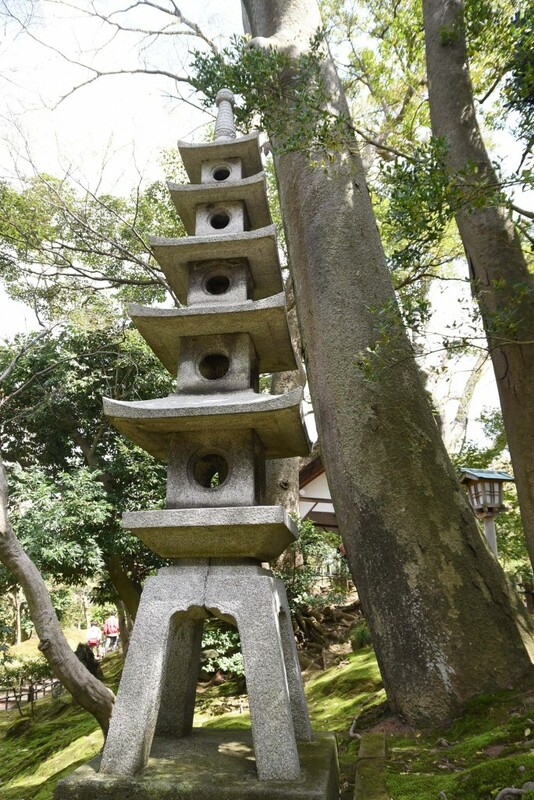 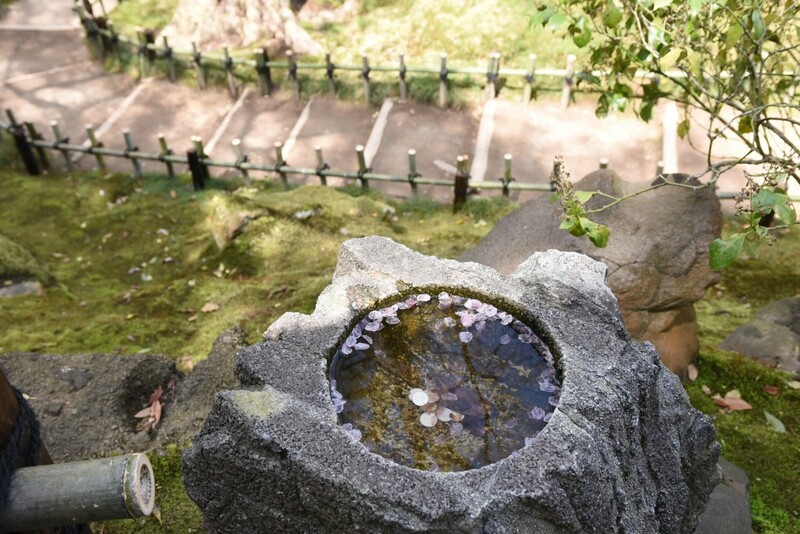 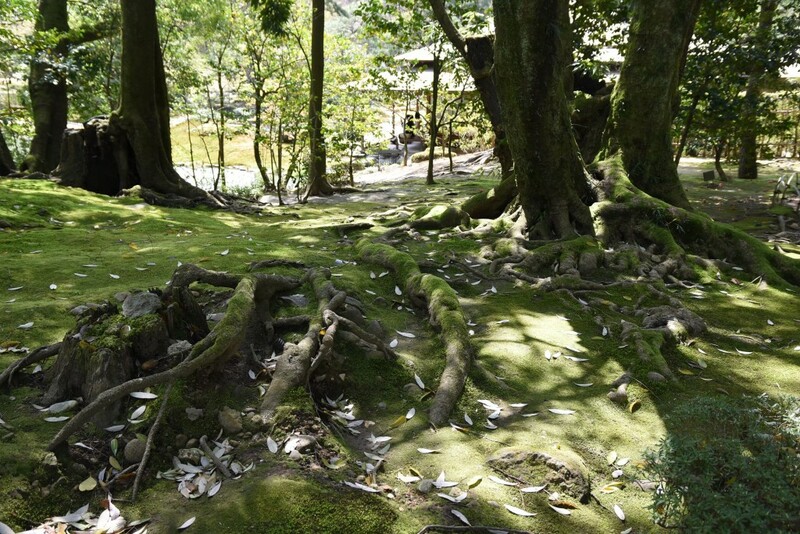 The original garden named Renchitei is said to have been created by the 5th Maeda lord, Tsunonori Maeda around 1676. 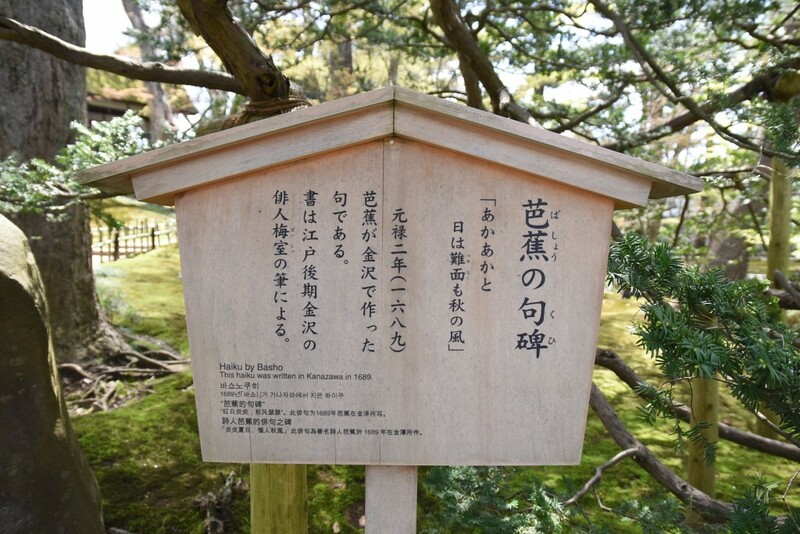 The garden was burnt down in 1759, but was restored in 1774, and in 1822 the garden was renamed Kenrokuen. 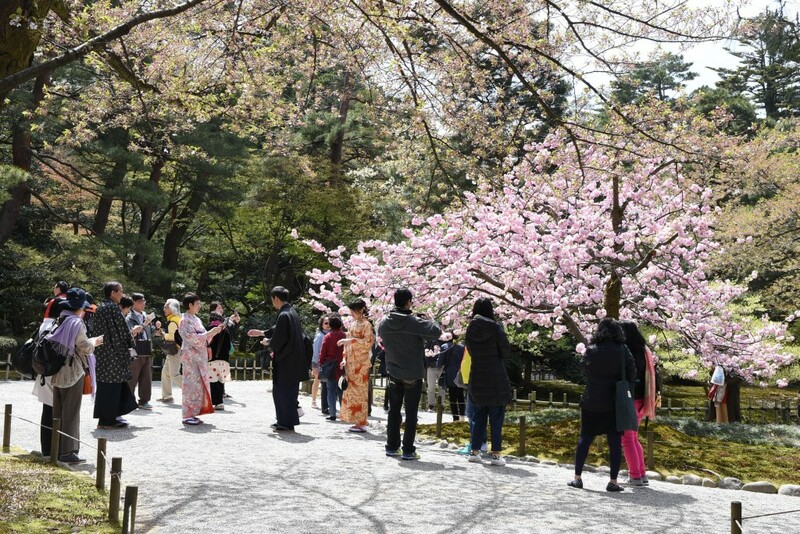 This name can be translated to “garden of six elements”, which refers to the six features mentioned in a classical Chinese poem for a perfect garden: spaciousness, seclusion, artifice, antiquity, flowing water and panoramas. 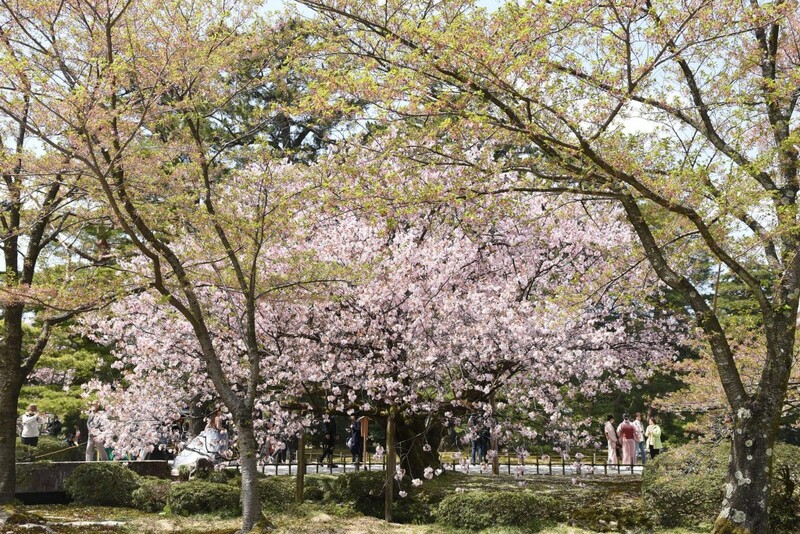 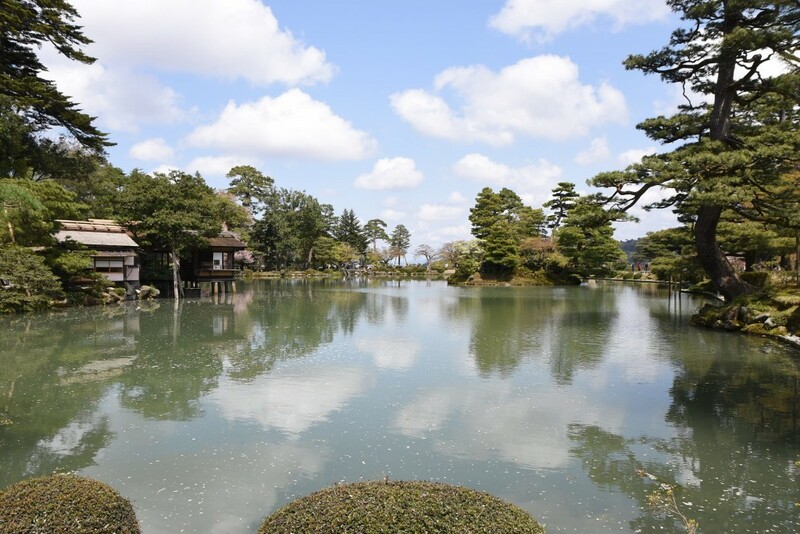 The garden was not opened to the public until 1874, and now it is one of the most popular sightseeing spots in Kanazawa. 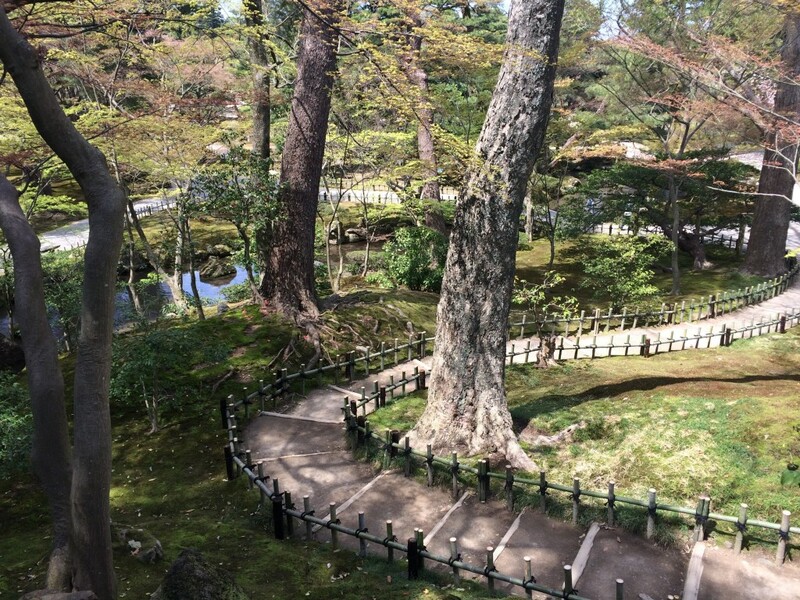 There are two main entrances to the vast garden and it costs 310 yen to get in. 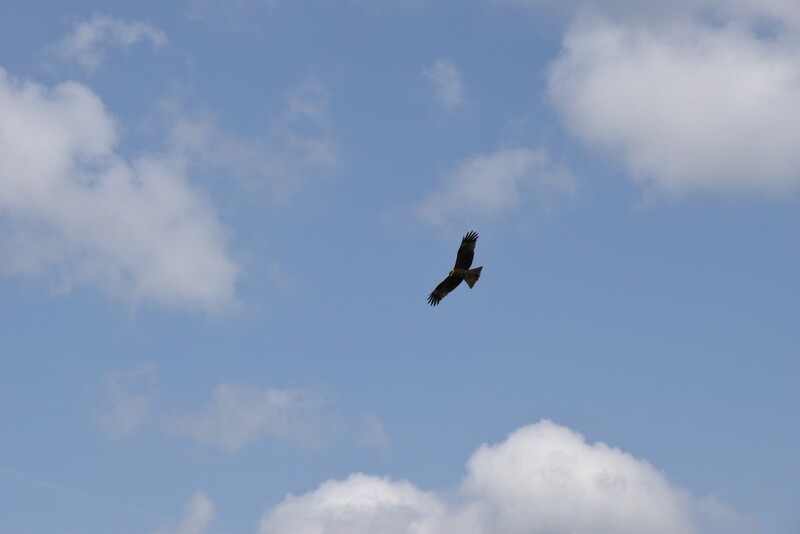 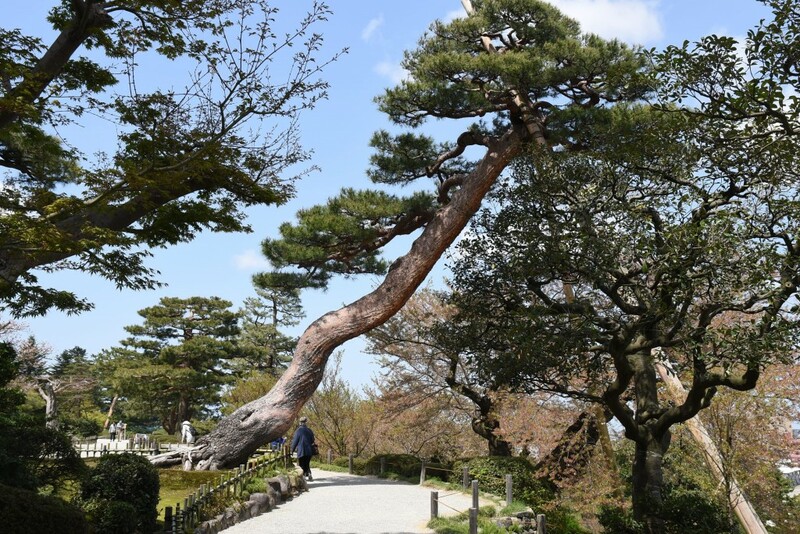 It is easy to feel disoriented here because of its size, but if you are not in a hurry, you can easily stroll for a few hours while admiring the nature and landscape here. 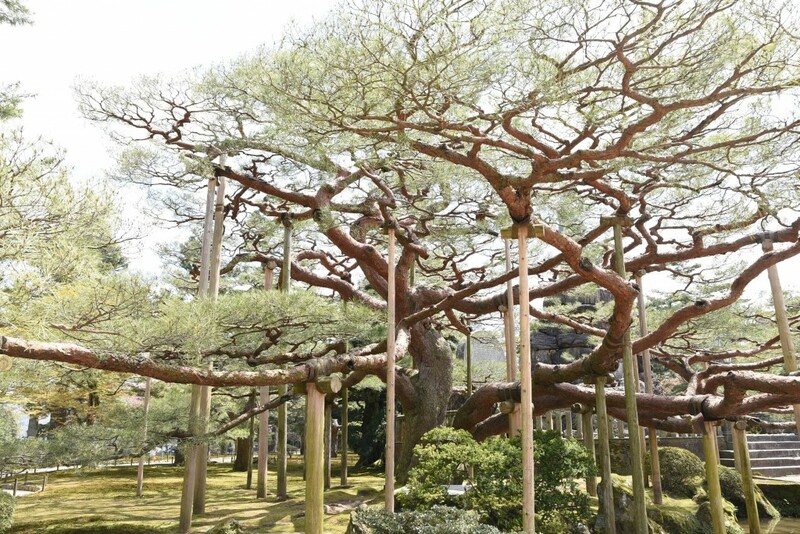 There are roughly 8,750 trees, and 183 species of plants at this garden. 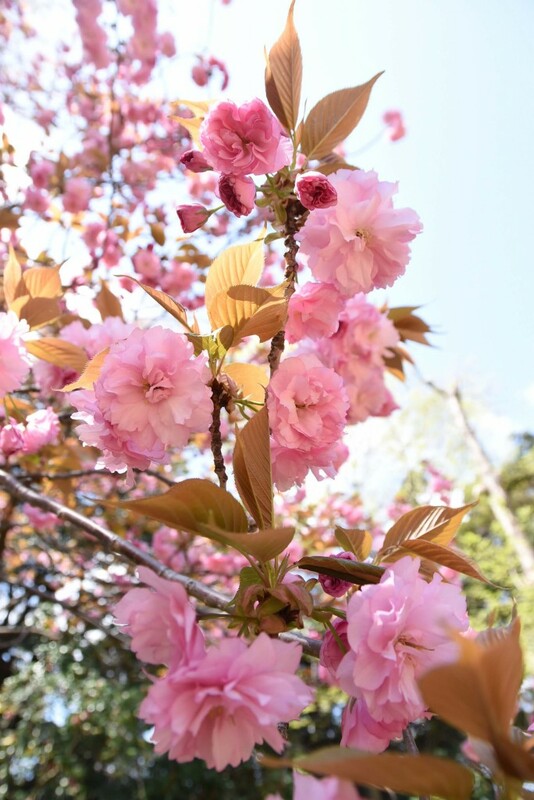 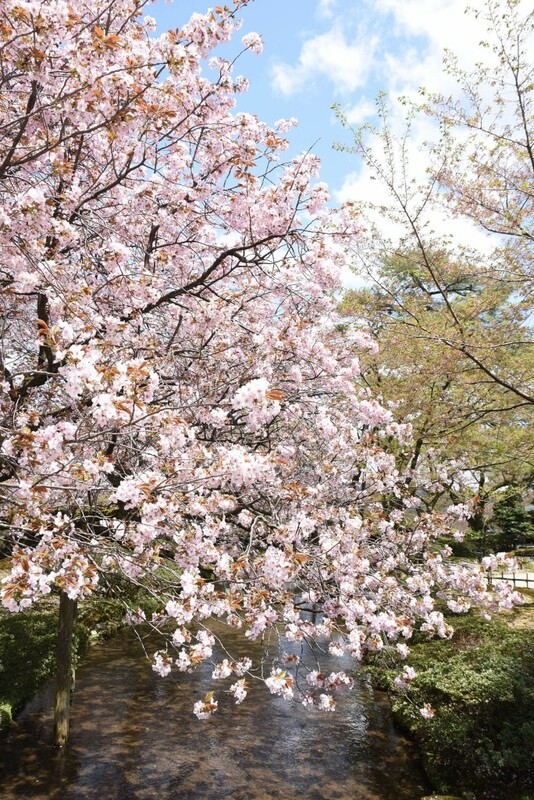 The garden offers something different for every season, but it is particularly popular in spring because of cherry blossom. 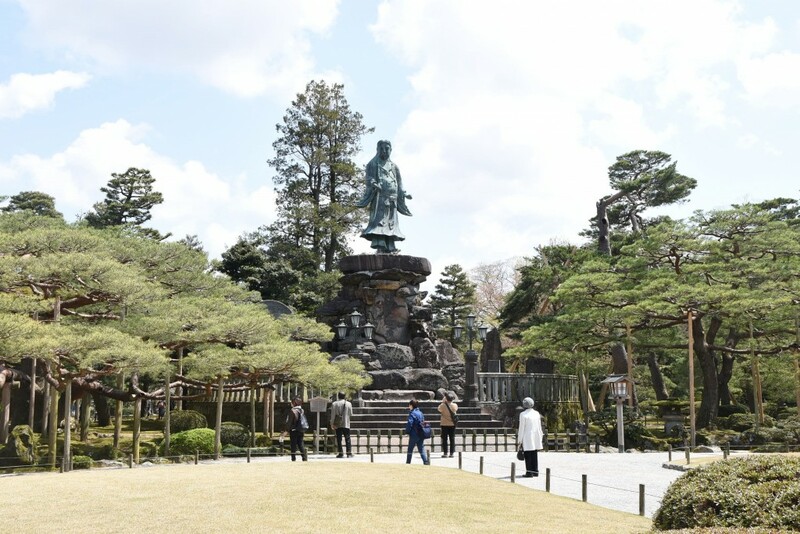 Some of the main features at the garden include the artificial Kasumiga-ike Pond; Yugao-tei tea house on the Hisagoike pond which dates from 1774 and the oldest building in the garden; and a bronze statue of a legendary hero, Yamato Takeru was erected in 1880 to commemorate the deaths of 400 soldiers from Ishikawa Prefecture who died helping to suppress a rebellion in Kyushu. 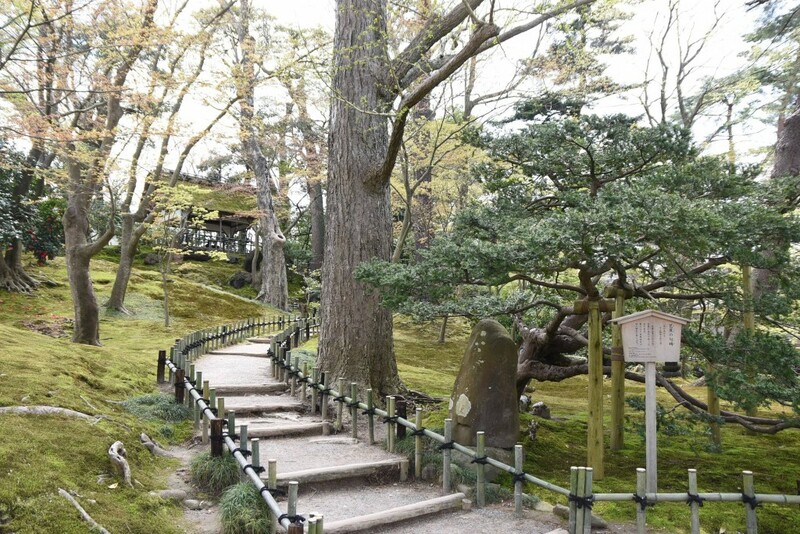 Since I am no expert in traditional Japanese landscape garden, I can't say whether this is the most beautiful landscape garden in Japan or not. 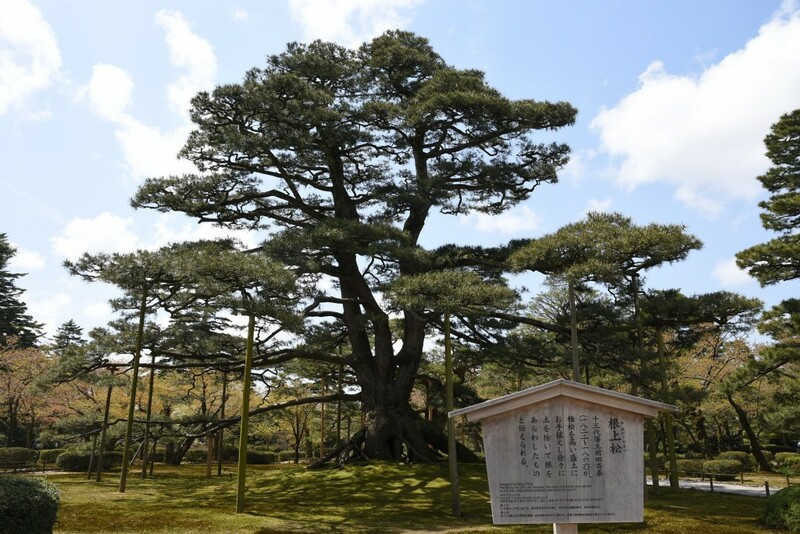 However, I was very impressed by the ancient pine trees at this garden, and I think they are definitely some of the most beautiful trees I have ever seen. 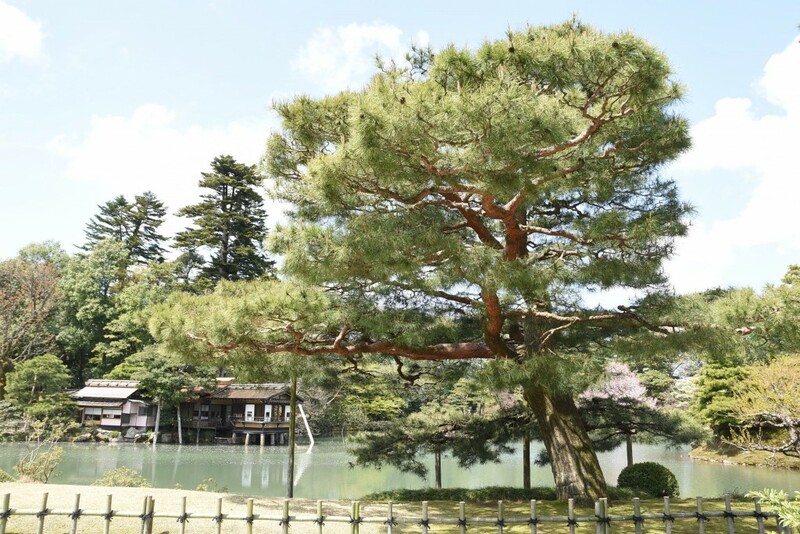 The tallest one is called “Neagarimatsu”, meaning “a pine tree with its roots going up", is about 15 m in height and it was planted by the 13th lord Nariyasu about 200 years ago. 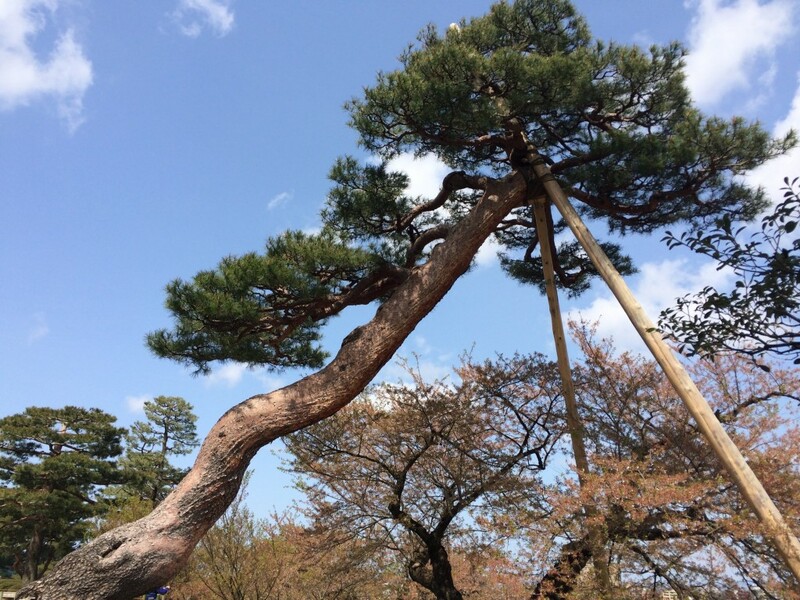 It is an absolutely magnificent and stunning tree (see the third one below). 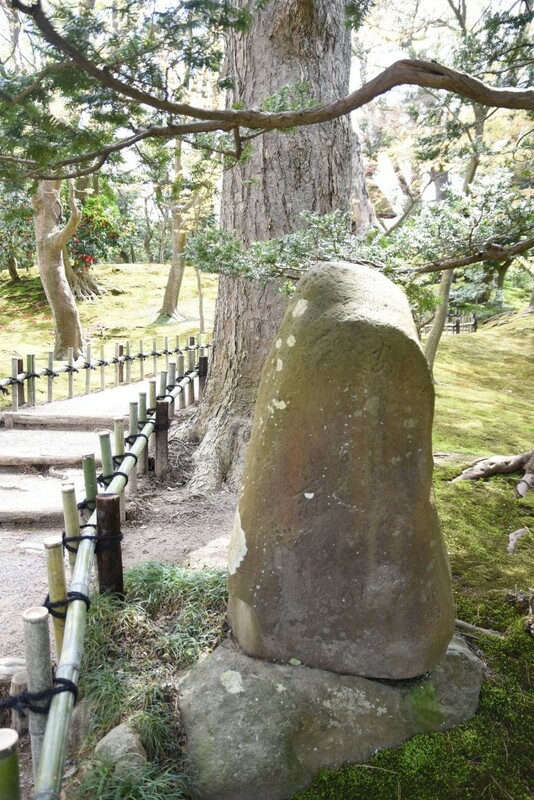 Although the garden was quite busy during my visit, but due to its size, it was easy to avoid the crowds and enjoy some tranquil spots. 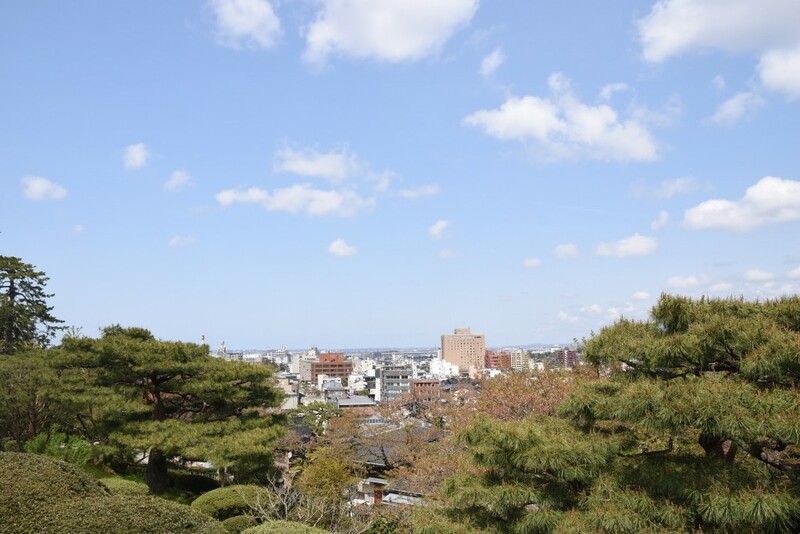 The garden also offers a panoramic view of city, so I guess these are all the elements that make this one of the best landscape gardens in Japan.